Amazing sky shot! So happy the doggie in the window is not real. I love all the things you post and the creative way you include the letter A.
the "Doggie in the Window" is priceless. Always a pleasure to drop by and see your wonderful photos! You managed to intertwine many memes and many interesting photos. Thank you. Everything was just so perfect and simply lovely.. and I really enjoyed the photo and the quote at the end.. how wonderful! I love the doggie in the window! It has been rainy and cloudy here, too. Looking forward to sun later in the week! I bet they hide a long time where you are!! Warm under the snow!! 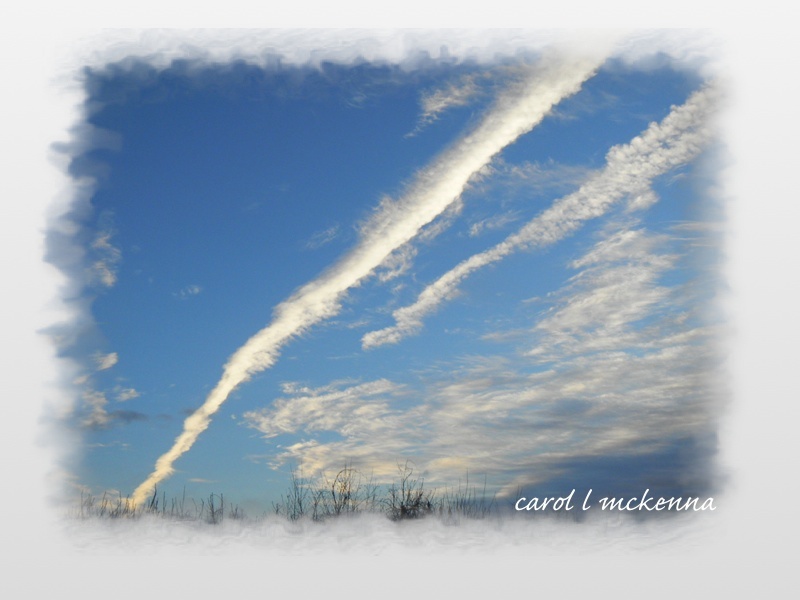 Wonderful post Carol, what a nice pictures you share here with us and the haiku ... it's wonderfully crafted and composed. Thank you for your daily effort to write and share haiku (and all those other beautiful arts) with Carpe Diem. I always feel so warm. No matter how cold it is I have read about. Enjoyed my visit and seeing your variety of great shots. Wonderful matching of images and haiku! I'm always impressed by how you blend together these memes so seamlessly. Well done! Nice sky. I have a crocus on my kitchen windowsill, that has green shoots, no sign of flowers yet, wise plant. From one Leo to another, roll on summer. 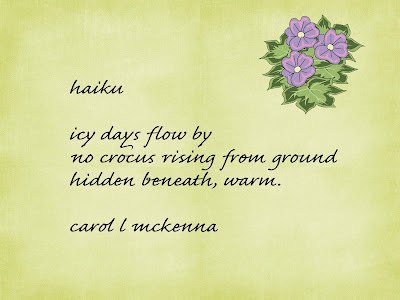 Your haiku very appropriate for winter storm "Helen" passing through, but crocus days will be here soon! Hope you get your sunshine soon. I love the antique dog in the first shot. I have the exact same iron dog in the first picture! 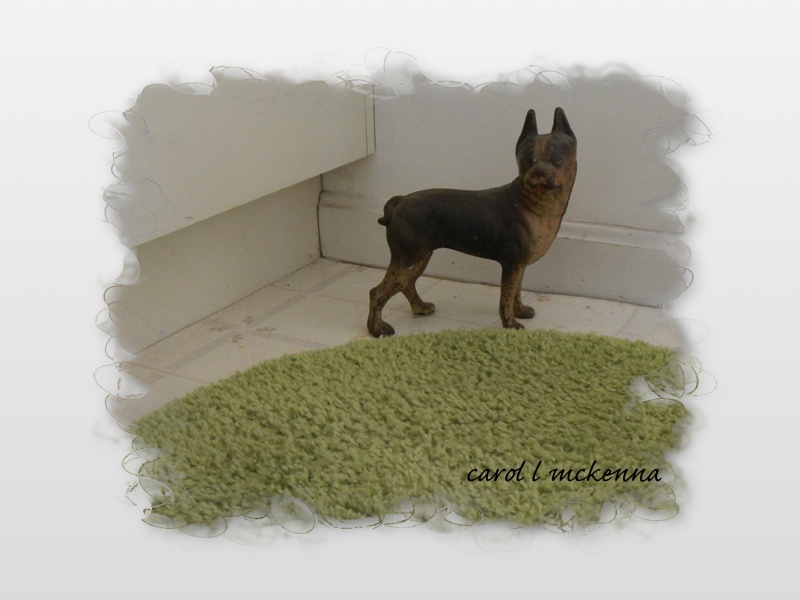 He belonged to my mother-in-law and now he lives with us. best-behaved dog we've ever owned. I am more than ready for the signs of spring. Cute doggies! Catching up with ABC entries. 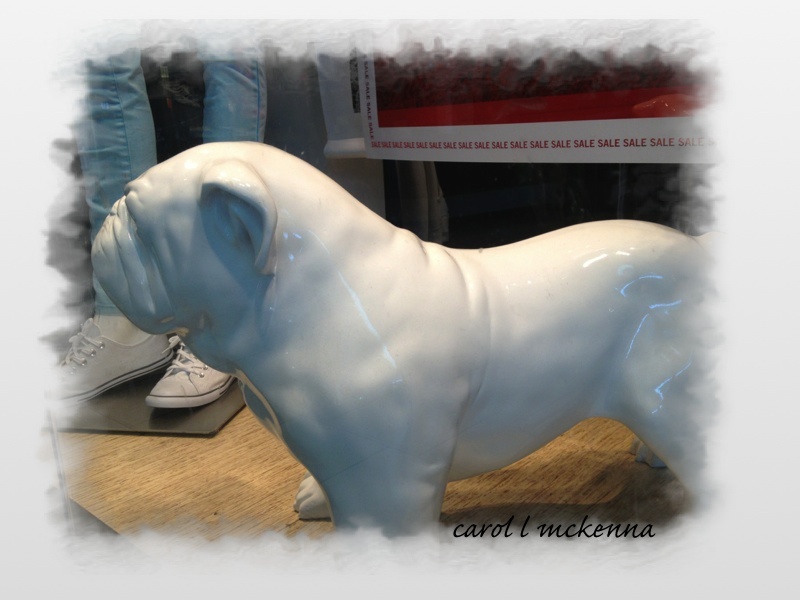 Cute doggie in the window and now that song's going through my head, lol! Your photo frames are darling...love! Love it, Carol. Like your "I" word because I always like that song. My dog died in September. She was my buddy but we won't be looking in windows for another. We weren't looking for her when our daughter said we could 'take care of Adi' for her. We escaped when the cold came here. New Zealand and Australia for three weeks. Got back Monday and today the sun is shining. Will be in the 60's from here out in day times. Especially like the outdoor sky and how you edited it! What a fabulous sky photo! I'm always looking up! Great choice for A. Love all the photos though. Loved your "Icy days" haiku. And your doggie in the window. Wow, that brought back some memories. I'm going to be singing that for the rest of the day! Thanks for an interesting and fun link!